Posted by Jess on 16/10/2018. On Sunday, it was the Crumbs Awards. 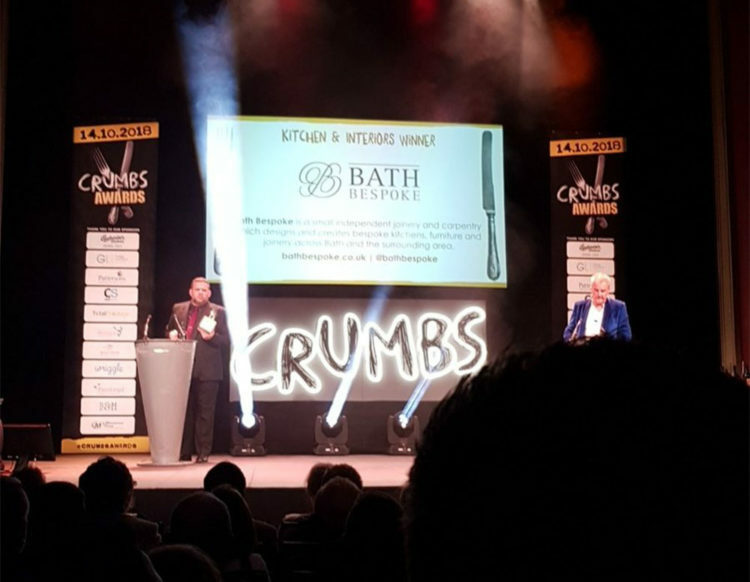 The event was held in the newly refurbished Old Vic theatre in Bristol, and was packed with everyone and anyone from the food, drink and interiors world across Bath, Bristol and the South West. Crumbs is well established as the go to magazine for everything culinary in the area. From unusual pop up supper clubs, to prestigious restaurants that excel in fine dining. Of course, at the heart of anything food based is the kitchen and we were absolutely thrilled to be announced as the winner of the Kitchen and Interiors category at the award. It’s been a fantastic week for us, as we’ve also been announced as a finalist in the Bath Business Awards and the Bath Property Awards! Winners to be announced in November, so will be keeping our fingers crossed again.